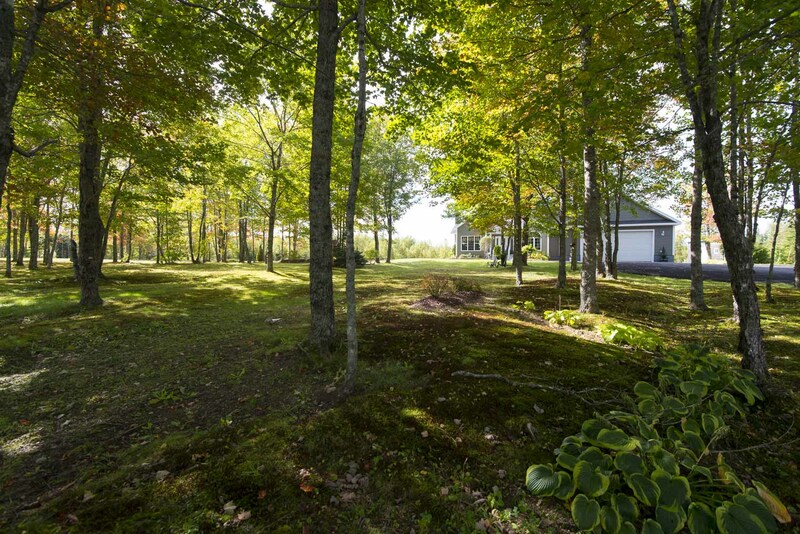 Well-Built Ranch Home on 56 Scenic Acres! If you appreciate high quality construction married with privacy, acreage and the quiet tranquility of country life, then you are going to love this one-owner custom property at 601 Board Road in Leverville, Charlotte County! 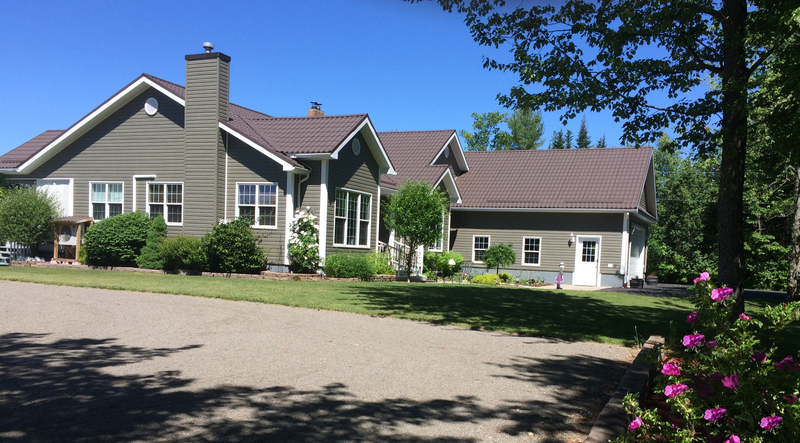 Set on 56 picturesque acres this extremely well-built home is located approximately 20 minutes from St. Andrews, St George and 15 minutes from St. Stephen and the border town of Calais Maine, USA. 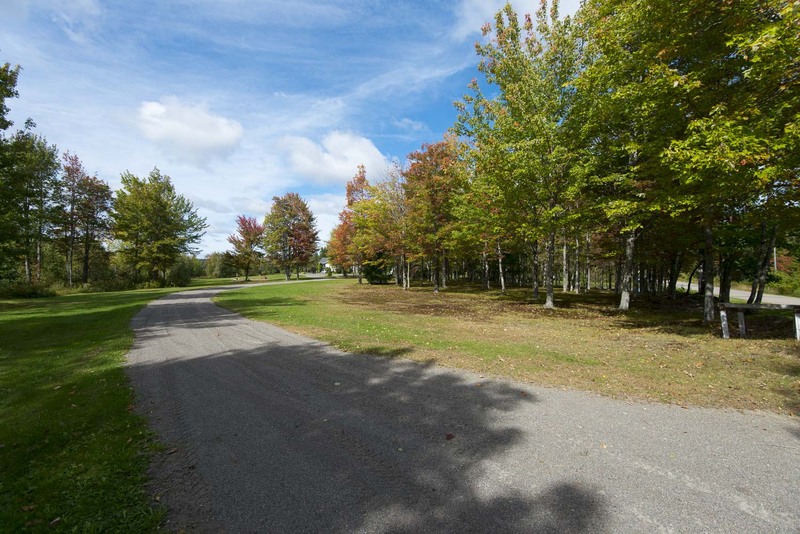 Enjoy country living with shopping, banking, post office, restaurants, entertainment and other town amenities just minutes from your door. 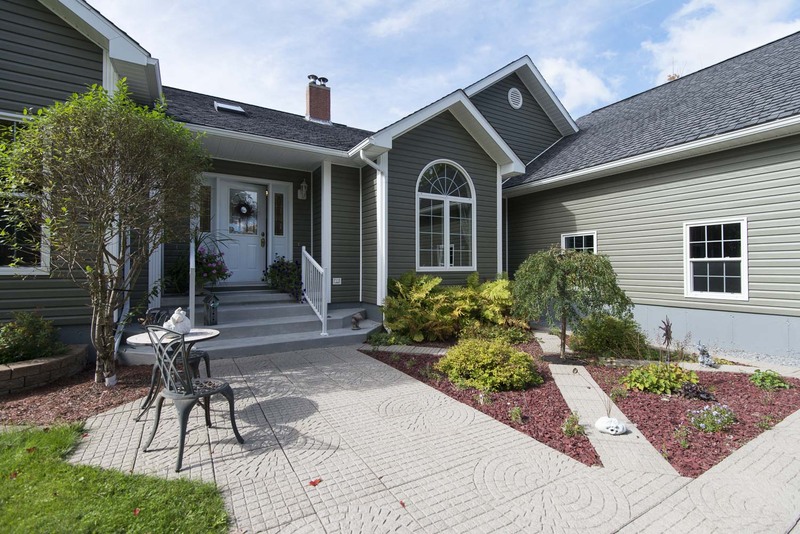 Stamped concrete walkway and patio leads to the attractive cut beveled glass front door and large foyer with skylight. 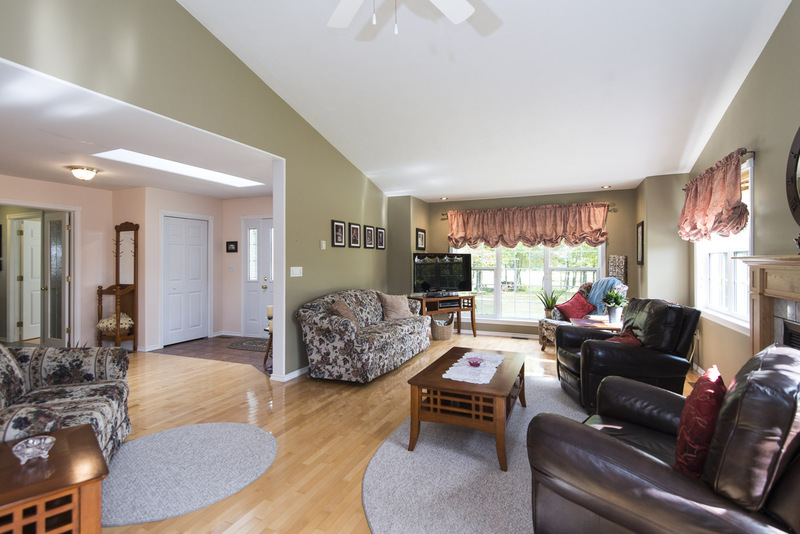 This home has a very nice open concept layout open from the foyer to the great room and kitchen. 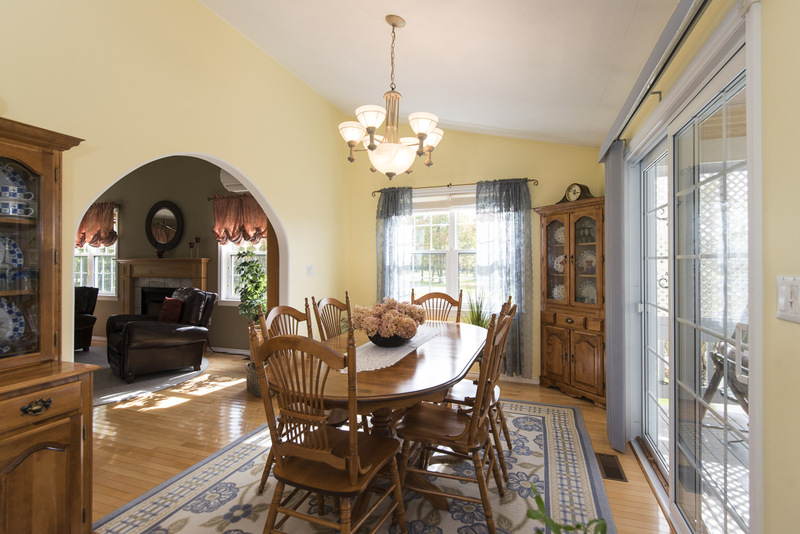 Everywhere you look the sun shines in through huge over-sized windows in every room! 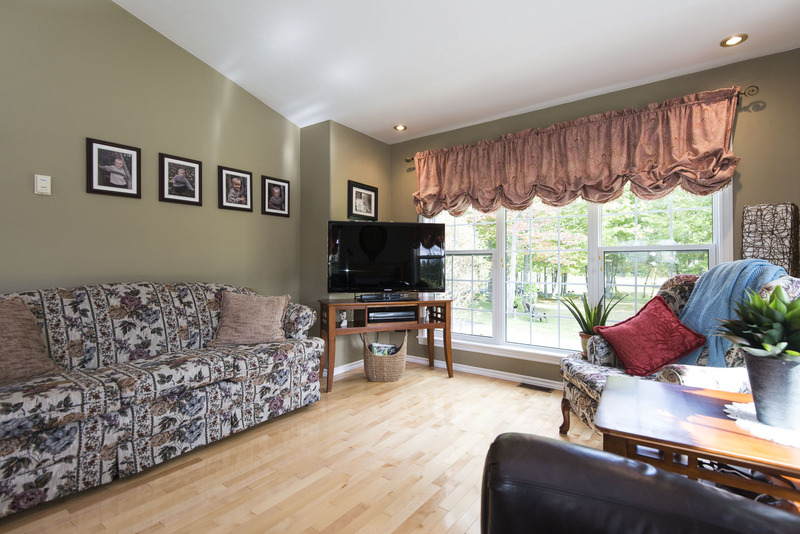 Birch hardwood flooring gleams throughout this house making it difficult to believe that it isn’t brand new! Just one more sign of the pride of ownership maintained here. 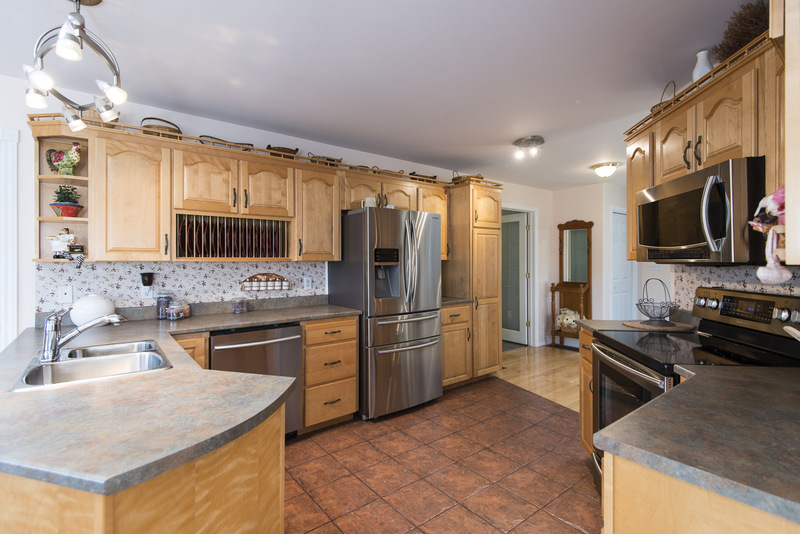 The nice-sized eat-in custom kitchen has ceramic tile flooring, an abundance of cabinetry and a large eating area with large window, sunny skylight, hardwood floor and deck access. 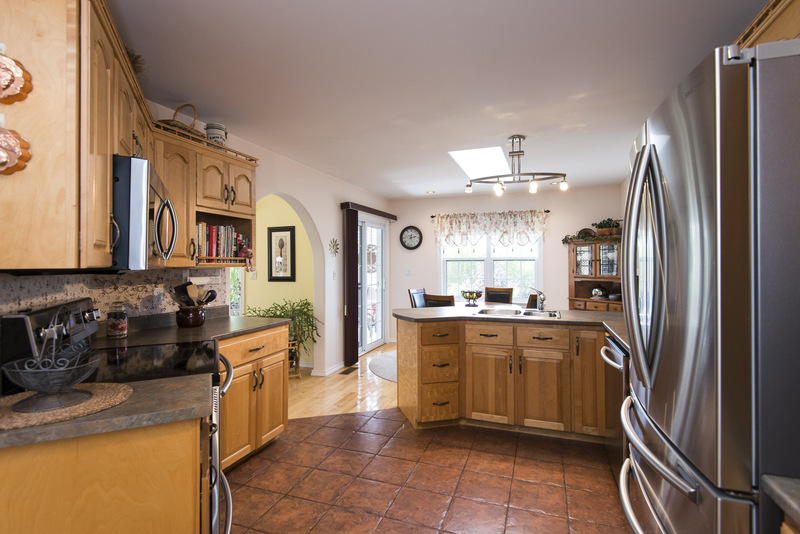 Included with the property are the stainless steel appliances which are the stove, French door refrigerator, microwave/fan and dishwasher. 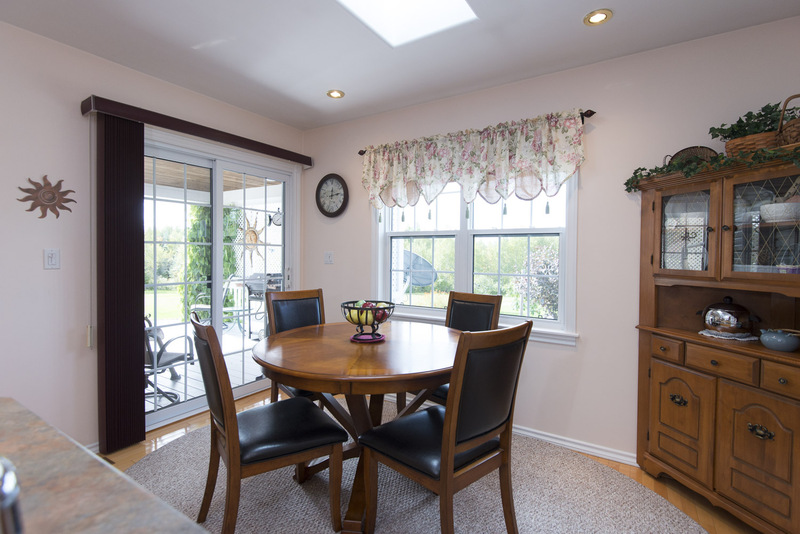 The kitchen opens directly onto the over-sized dining room also with hardwood floor and deck access. 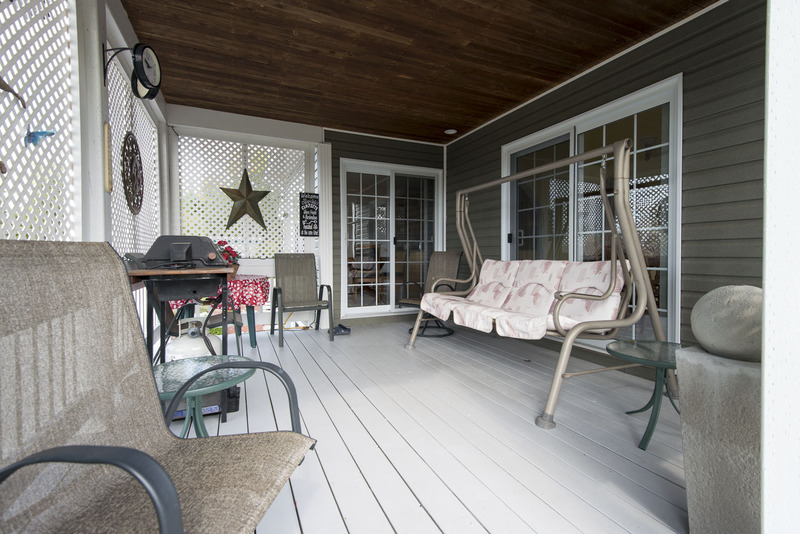 This is a lovely covered deck with tongue and groove board ceiling and attractive lattice work panels to shade you from the midday sun, rain or wind. If you prefer to sit out in the open the stamped concrete patio at the front entrance is the perfect spot for this. 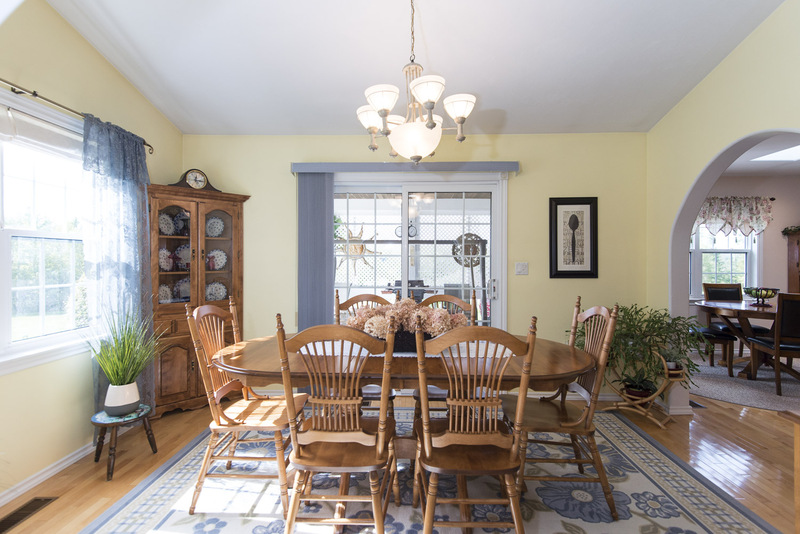 The dining room and the foyer open onto the spacious great room with sixteen foot vaulted ceiling, hardwood flooring, an abundance of windows and cozy propane fireplace. 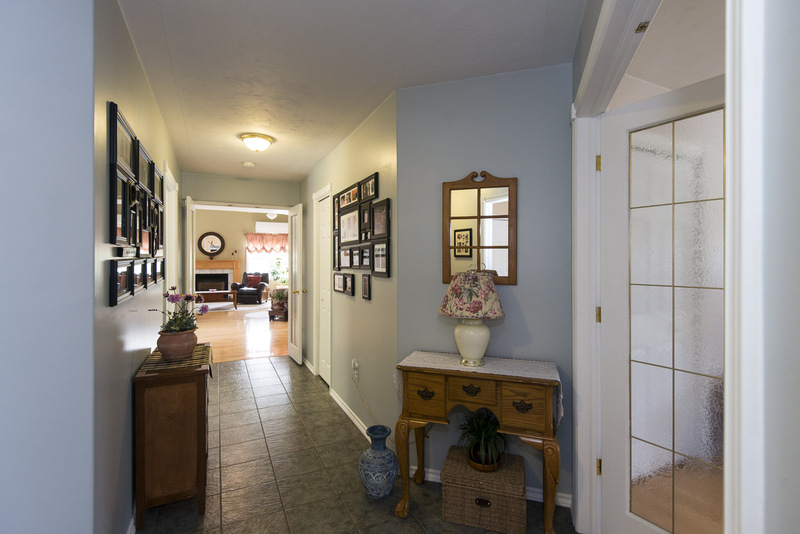 Down the extra wide hallway through double attractive frosted-glass French doors we find three bedrooms all with hardwood flooring, the mud area, laundry area, powder room and the main bathroom with ceramic flooring and tub/shower. 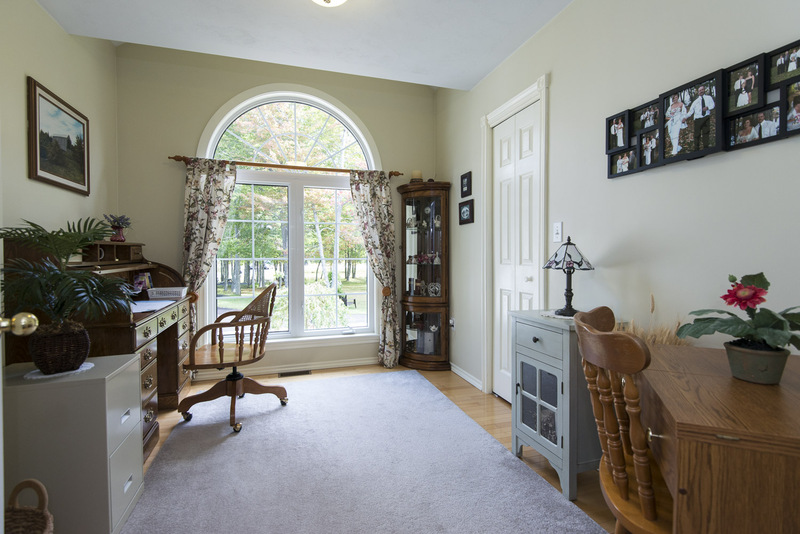 One of the bedrooms with attractive Palladian window is currently being used as a home office/den, the choice is yours. 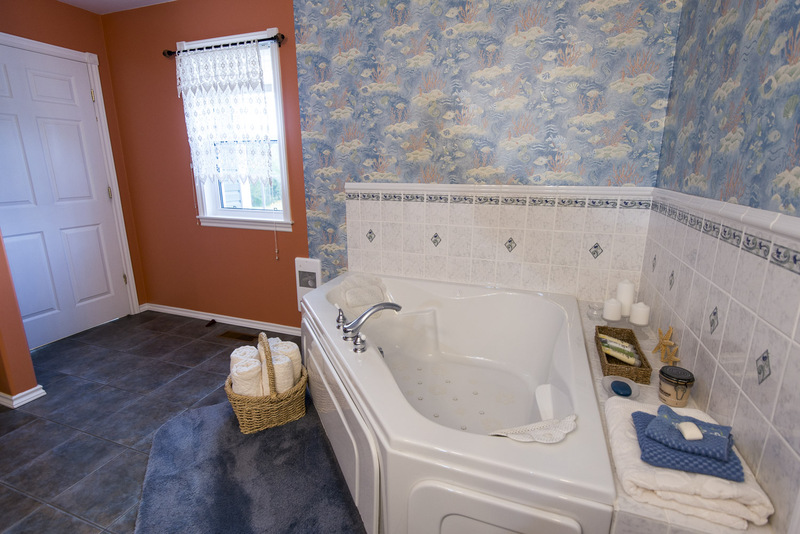 The master bedroom of this home is huge with hardwood flooring, walk-in closet and over-sized ensuite bath with ceramic tile flooring, double sinks and deep soaker air tub. 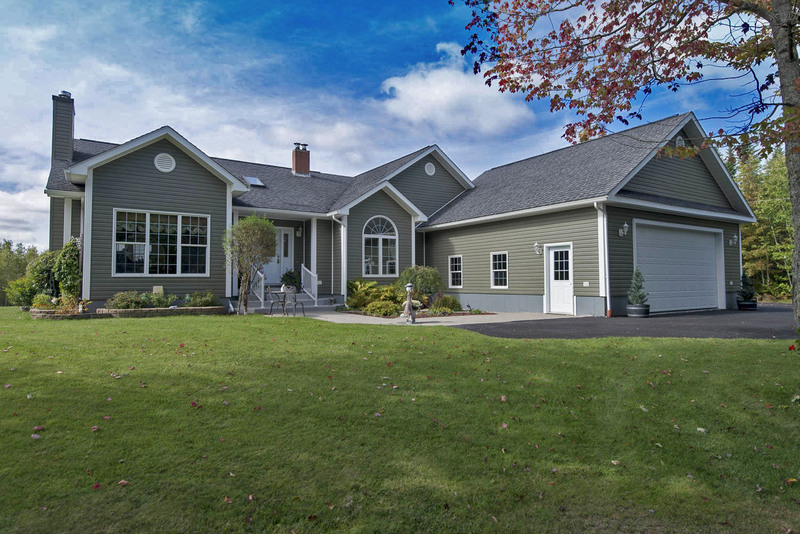 The attached over-sized garage is 784 square feet and features high ceilings, sunny windows, fully insulated and heated. 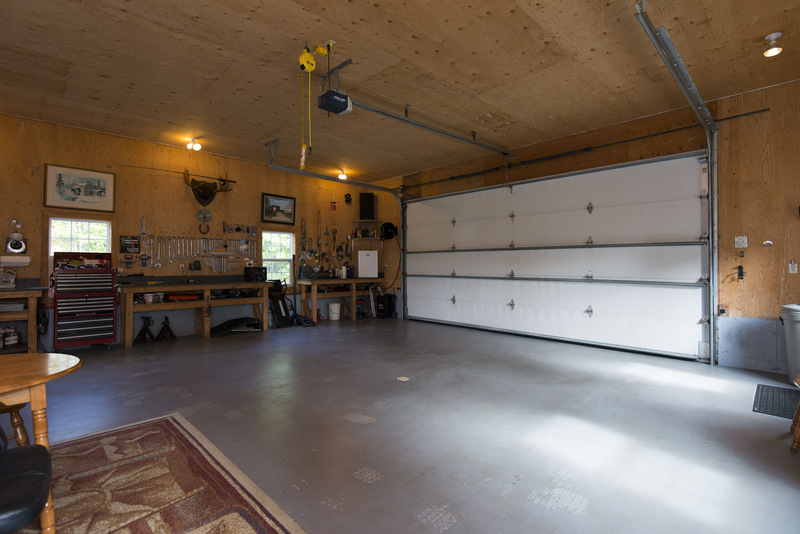 The high garage door with remotes can accommodate SUV’s and trucks. The staircase here leads to the basement level. 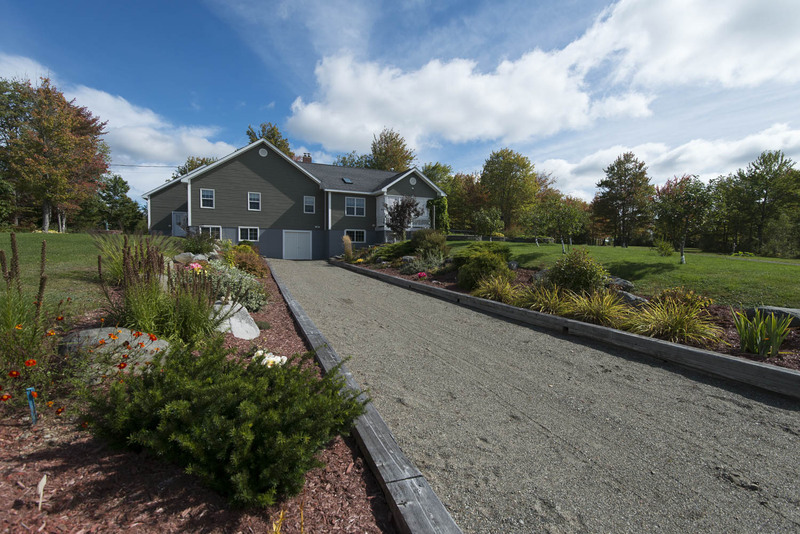 This home has a full concrete walkout basement which is spotlessly clean, unfinished, insulated and heated with a heat pump. 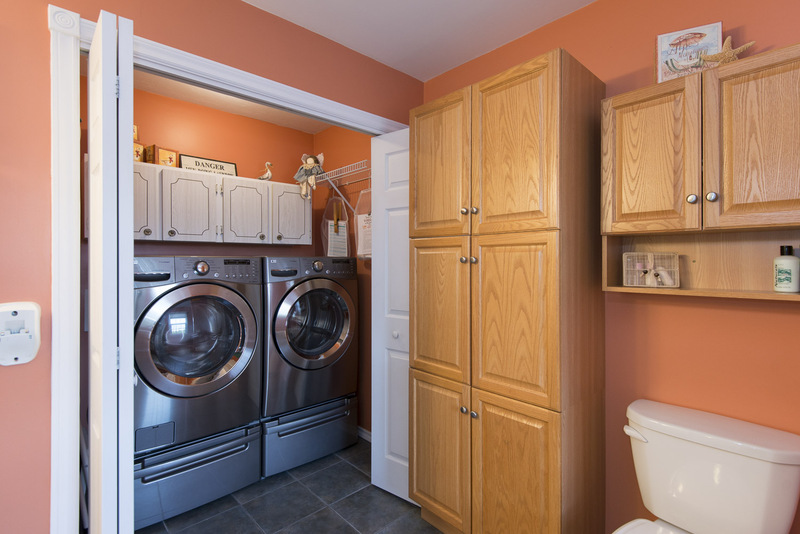 The same size as the main level there is an abundance of storage here. 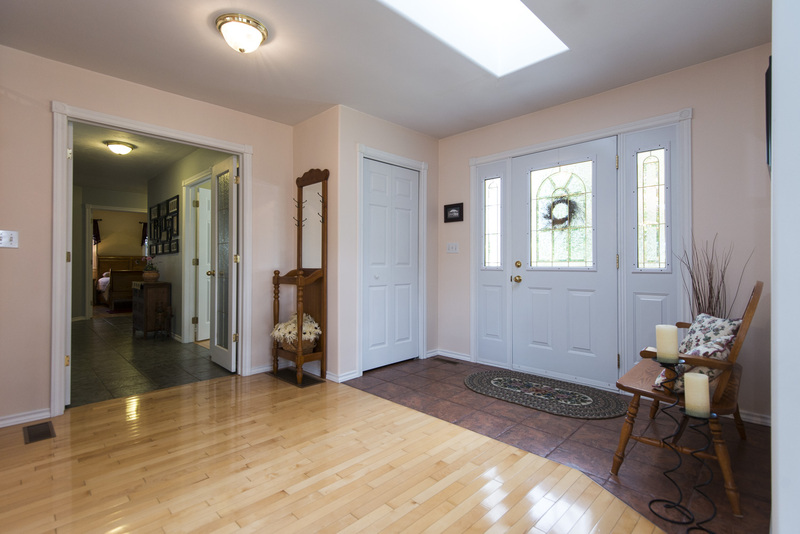 Double doors open from the basement to a back driveway making it oh so convenient to simply drive your lawn tractor, trailer with hardwood or other yard equipment right into the basement. 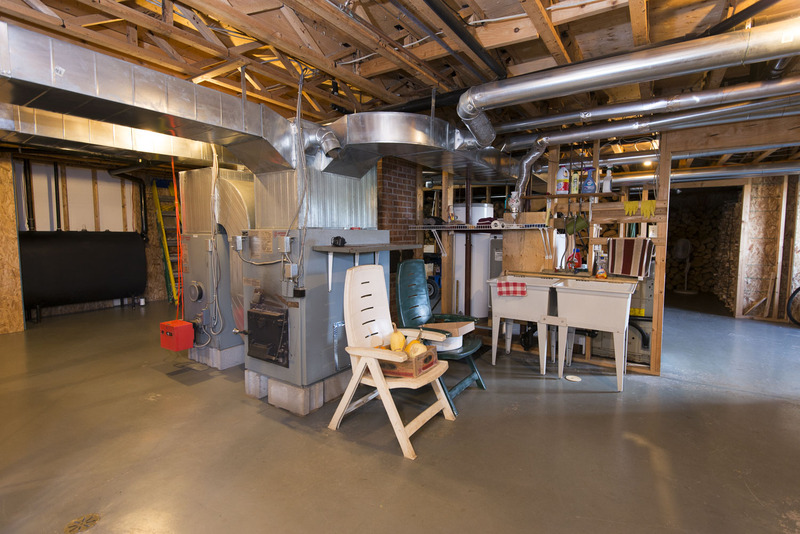 One large room is specifically set aside for wood storage near the wood fired furnace. 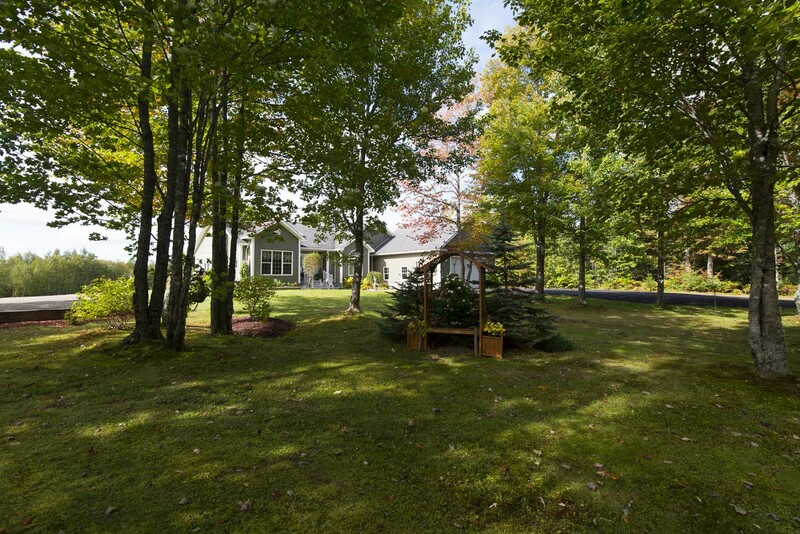 A large 12’ x 30’ shed is included with the property. 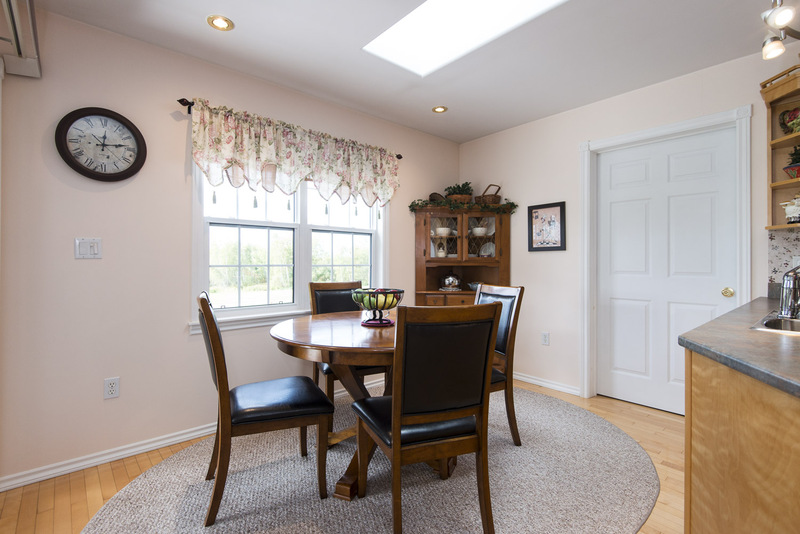 This thirteen year old, 1767 square foot, one-level home is built to very high standards which we usually see only in larger homes over the million dollar mark. 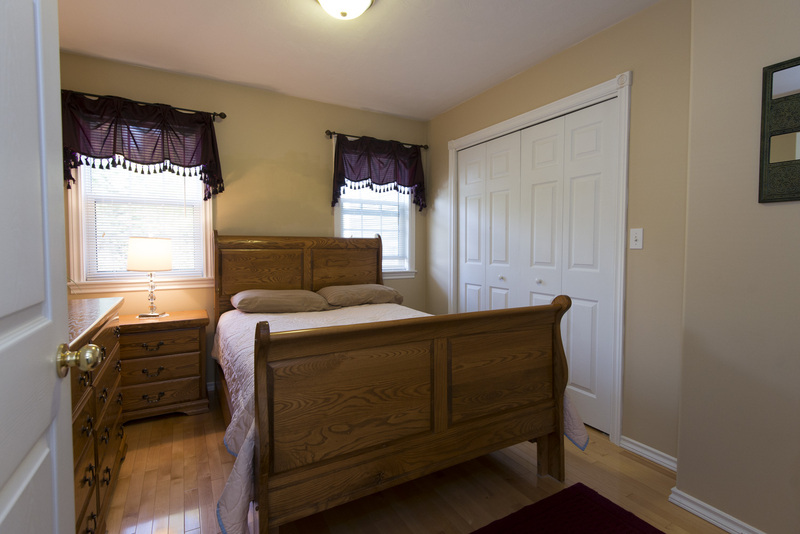 To start with there is no MDF to be found anywhere, all the trim, baseboard, and sills are solid wood. The interior walls are not sheet rock but blue-board plaster meaning you’ll never see a nail popping here. The wall sheathing under the siding is all plywood. 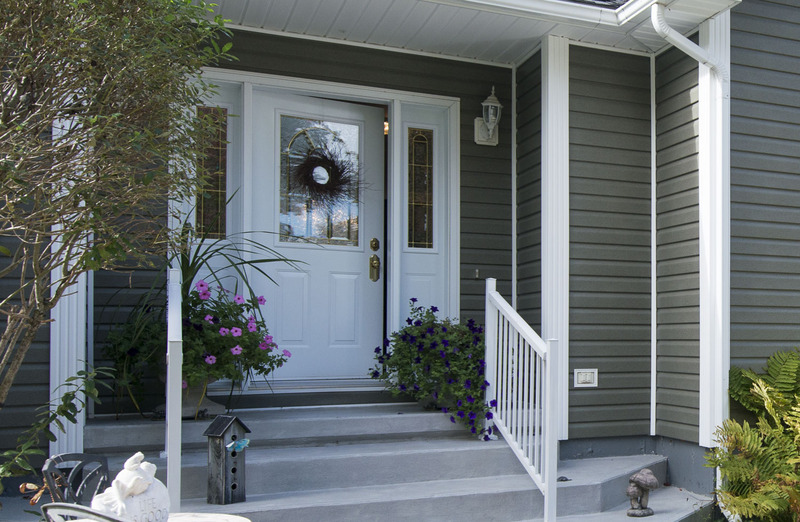 The Mitten vinyl siding has a lifetime colourfast warranty and the newly updated in October of 2016 is designer series steel roof comes with a Lifetime Warranty. The concrete in the basement is extra thick. 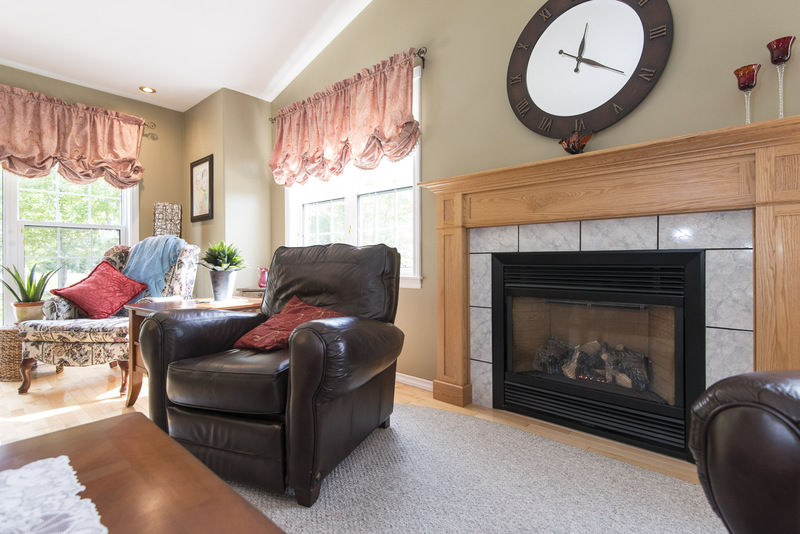 This home has not one but three distinct heating systems ensuring the highest in energy efficiency every day! There are two separate furnaces that run the forced air system. One is oil fired and the other is wood fired. You can use the wood furnace on a daily bases if you wish or simply turn on the oil furnace is you’re away for the day or on vacation. There are also two mini-split heat pumps providing economical heating in winter and refreshing air conditioning in warm summer months. So with three distinct systems the choice of heating is yours! There is also a generator hookup installed and ready to go. 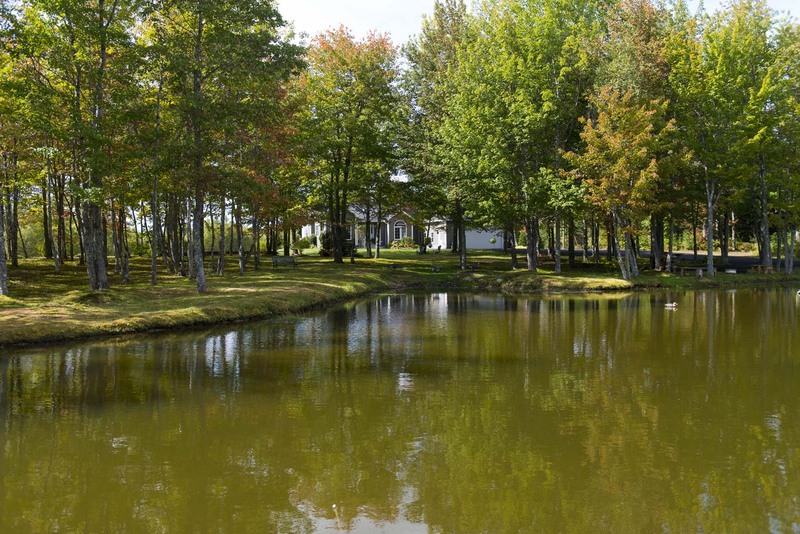 We’ve left one of the best features of this property to the last, the vast park-like setting and exquisite landscaping which encompasses approximately five acres of the property. 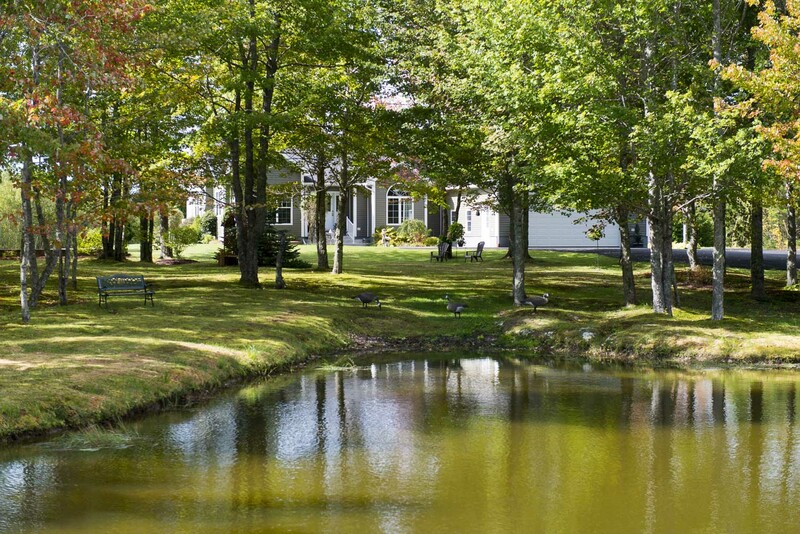 There is a scenic man-made, clay-lined pond (with resident turtle) in front of the house adding so much to the curb appeal of the property. 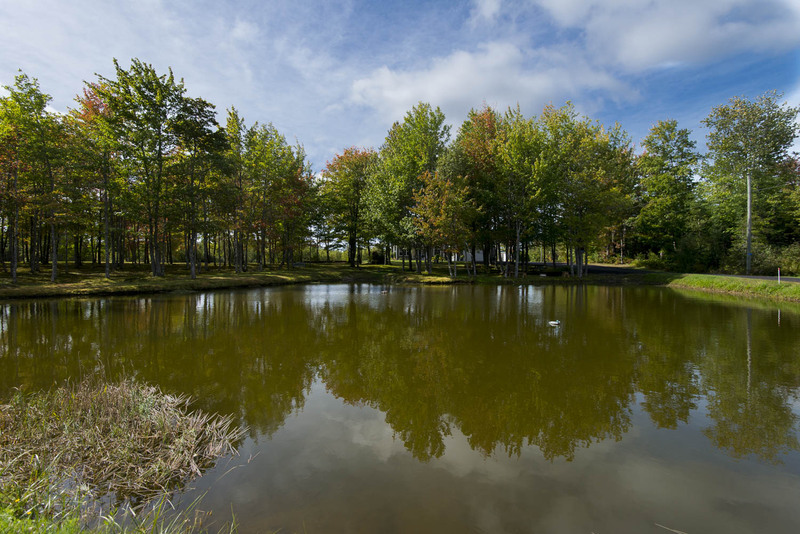 The pond is surrounded with mature deciduous trees, moss and grass covered grounds that are so attractive it would be a photographers dream setting. 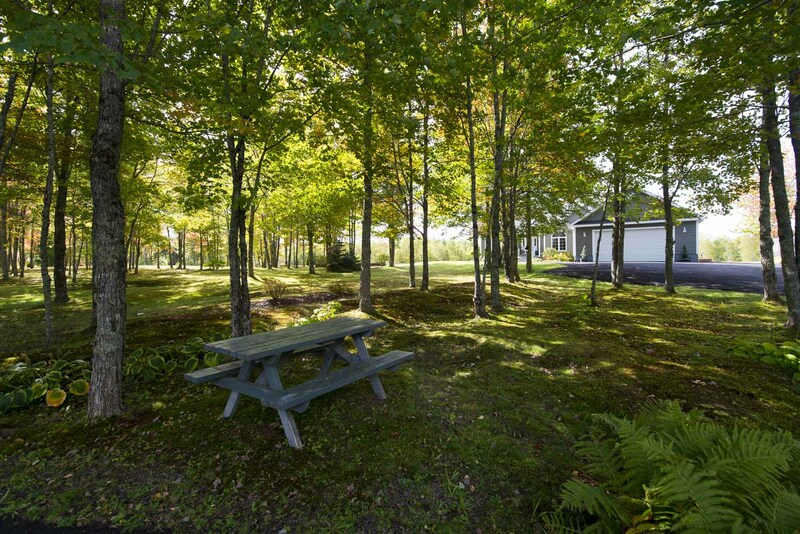 This is the perfect setting for your own private picnic area. 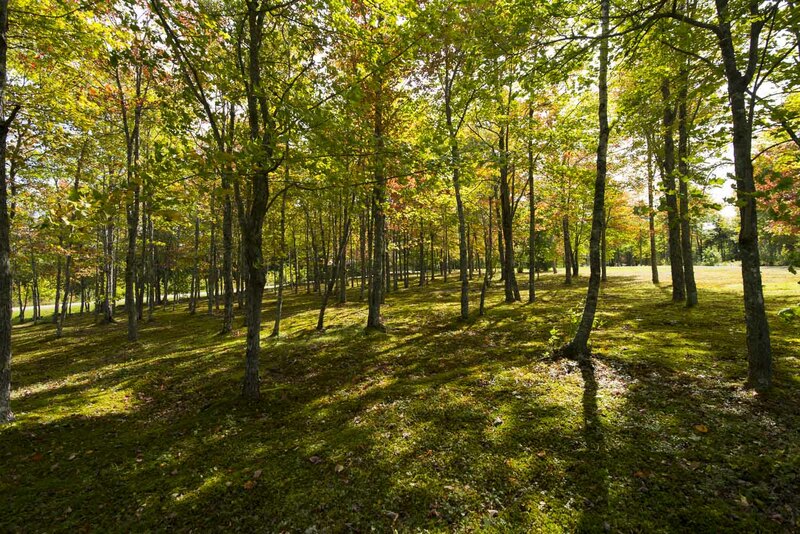 Over 20 acres of the property is wooded with mature trees and it can be subdivided after purchase if you wish. 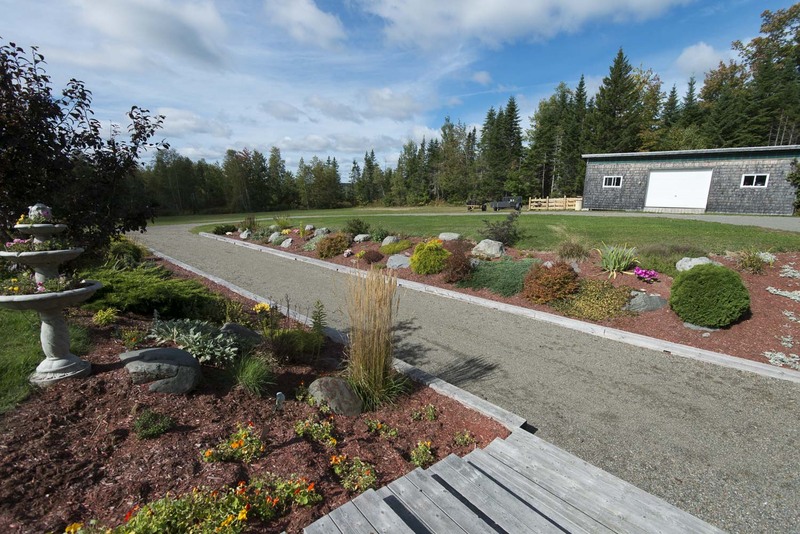 If you’re a nature lover you’ll appreciate this property for the abundance of wildlife and rare plants such as lady’s slippers! 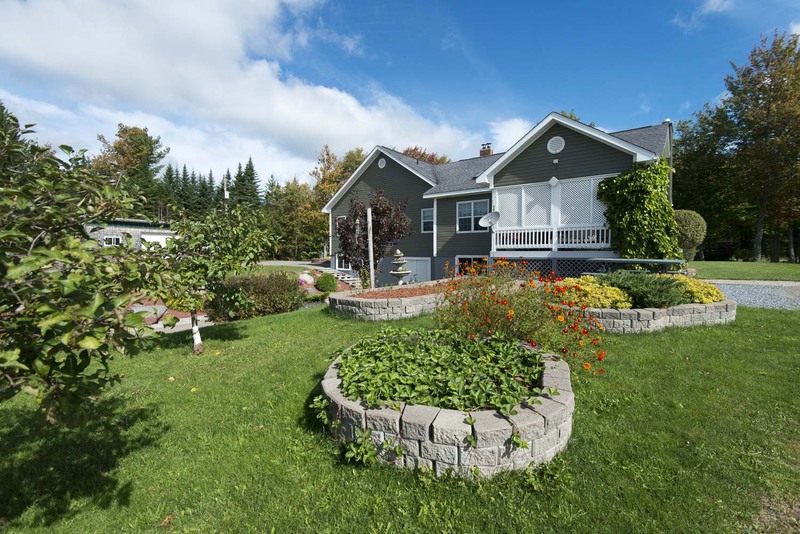 Your own little piece of paradise just minutes from neighbouring towns and the USA border with a high quality home that’s move-in ready. 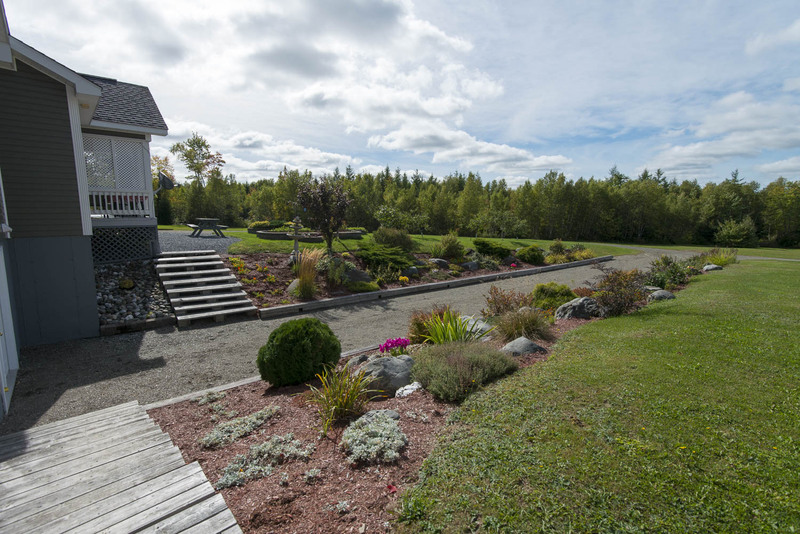 For more information and your private appointment to view, call Katherine Bacon, designated Global Luxury Specialist™ at 506-650-8575 Voice/Text or Charles Turnbull Voice/Text at 506-636-0748. Welcome to 601 Board Road! One of the bedrooms with attractive Palladian window is currently being used as a home office/den, the choice is yours! 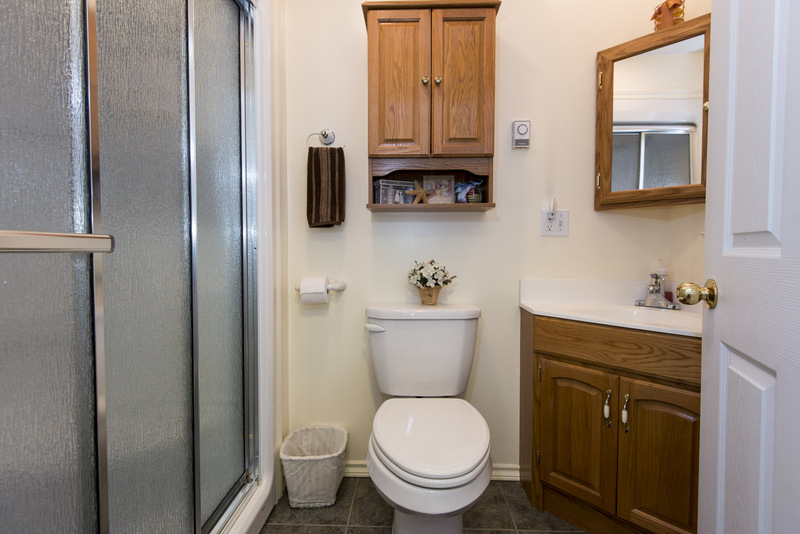 Your own little piece of paradise just minutes from neighbouring towns and the USA border with a high quality home that’s move-in ready!